The invention of the fork was pretty amazing. We can easily skewer and scoop our food into our mouths without getting our hands dirty. Genius, right? 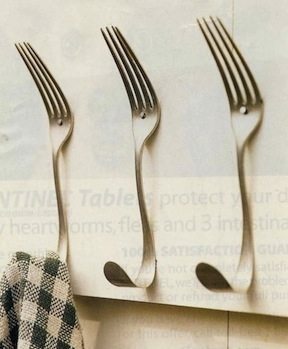 But, as it turns out, forks can be used for way cooler things than just eating food. From creating wall art for your home to opening wine bottles — forks can make your life easier and spruce up your house’s decor. So, head to the second-hand store and stock up on some cool, funky forks — you’re going to want to try these. 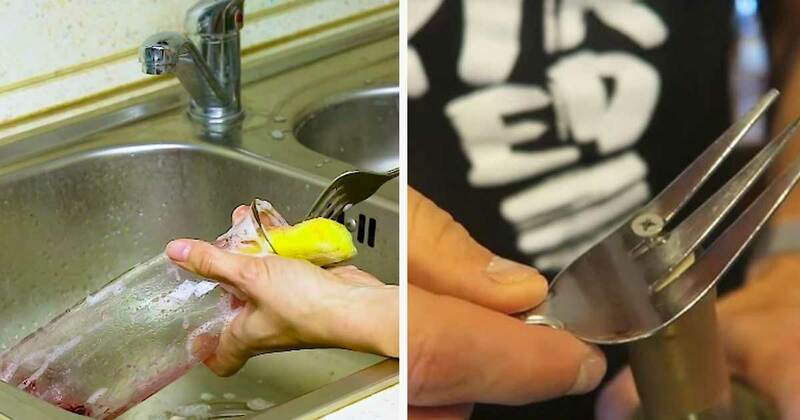 These awesome and easy fork hacks will make you wish you knew about them a long time ago. Thank goodness for all of the creative people out there who come up with these things! Stick a couple of forks into the side of a tomato. 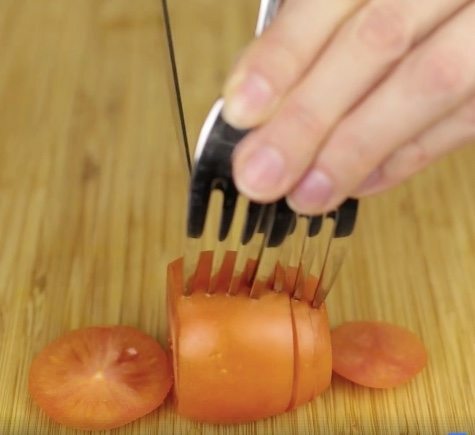 Hold the forks in place and use them as a guide to help you cut perfect slices of tomato. It also keeps the tomato from rolling around on the cutting board. Create wall hooks for dish towels, keys, etc. Use some pliers to bend the handle of the fork into a hook shape. 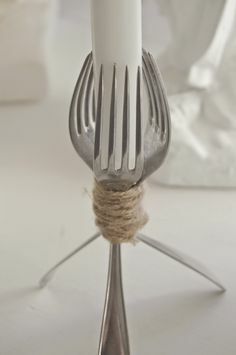 Nail the fork onto a decorative piece of wood to create a beautiful, simple space to hang things like dish towels, pot holders, or aprons in the kitchen. Get creative and use the pliers to bend the tines in interesting shapes and directions. Make the curve more pronounced to hang heavier items, such as coats. Use your hands or pliers to bend back the top (the part you put in your mouth) of three forks. Secure them together with a rubber band, ribbon, or a piece of twine. Arrange the forks so that the three handles balance on the table. Voila! A homemade candle holder. More in the video below. 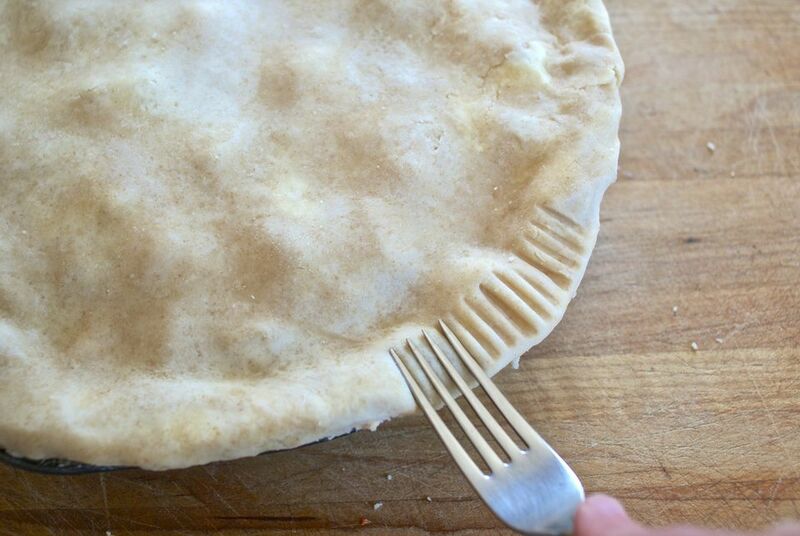 Use the tines of a fork to crimp, seal, and get creative with your pie crusts. Don’t forget to poke holes in the top so it doesn’t bubble up and pop! Place two forks back to back and secure the tines with a rubber band. 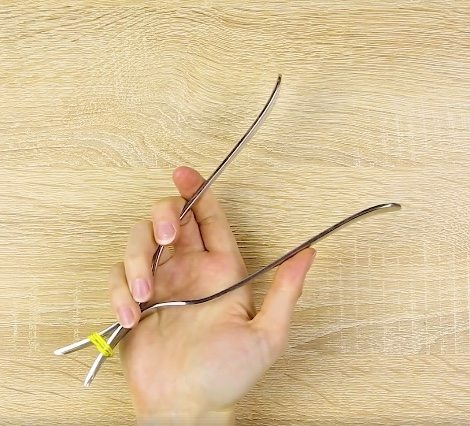 The perfect way to create makeshift tongs in a pinch. Get it? A pinch! It’s happened to everyone. You come home, and you can wait to relax with a nice glass of wine, except there’s one problem — you don’t have a wine opener, and it’s not a screw cap. Don’t fret! 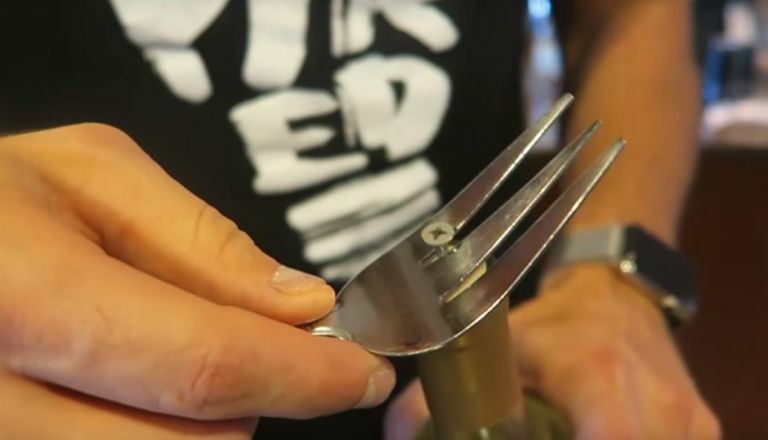 Just use a screw to screw into the cork and use a fork, and it’s leverage to pull it out. Problem solved. Smashing your fingers with a hammer is never fun. Keep a nail steady and your hand at a safe distance just by using a fork. Place the nail between the tines, and you’re good to go. It’s been a problem as old as time. Okay, well, as long as Oreos have existed anyway. 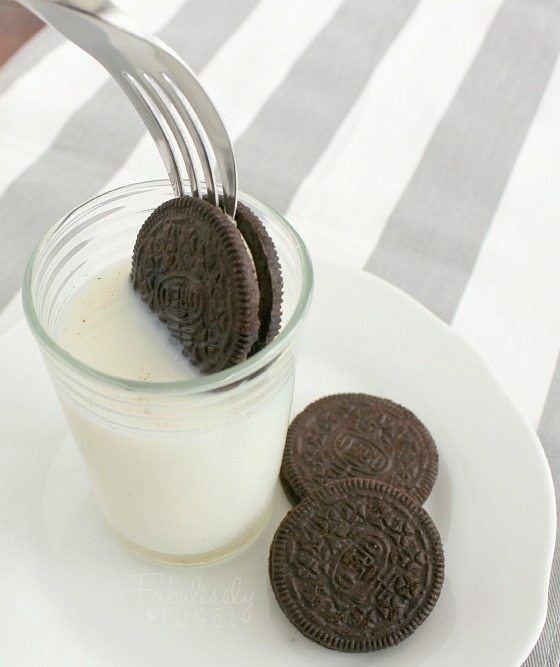 It’s always impossible to get the Oreo fully submerged in milk because our fingers get in the way. A simple fork hack solves this age-old problem. How did we not think of this before? Carafes and narrow bottles can be hard to clean because our hands can’t fit through the small opening. Push the sponge through the narrow opening and use a fork to move it around and scrub the bottom. Use the fork to pull the sponge back out. Sparkling clean! 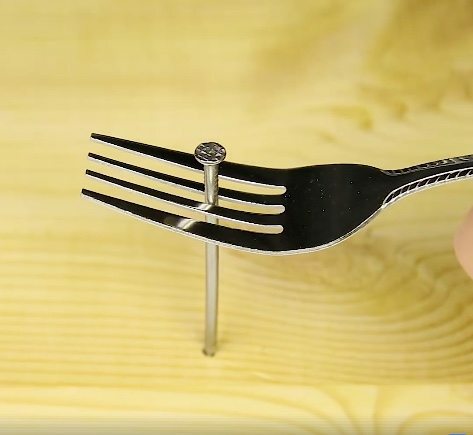 The video of quick tutorials for these awesome fork hacks is below. How did we ever live without these before?